Okay, so my little break actually turned out to be a pretty long break. You know how it is when things get busy; you say to yourself, “All right, I’m just going to put this blogging thing aside for a next little while just until I get back on track.” Except 2013 has been crazy from the outset, so the obligations just keep piling up and before you know it’s been more than two months gone and your poor blog has gone from “on a little break” to flat-out neglected. Um, yes. That would have been an overabundance of assassins. It has been revived, yes? Yes. I shall endeavor to post regularly again. Thank you, and good night. First of all, I want to thank the Rift team and especially Community Manager James “Elrar” Nichols for the amazing opportunity of being offered a private tour of their upcoming expansion Storm Legion during this beta weekend. This Monday, I was provided with a level 60 character, and along with the masterful Elrar acting as my personal in-game tour guide, we traveled to a variety of locations in the game so he could show me some of the features while allowing me to get in some hands-on time. I’ve always admired Trion’s dedication to building rapport with their players and their enthusiasm to reach out to bloggers and the gaming community, and I’m really grateful to have been included. I know several have already gotten their write-ups posted, so here’s mine. The fact is, Rift and I have always enjoyed a genial relationship; I played for many months, leveling my Cleric to 50 and continued to enjoy the game for a long time after that thanks to the flexibility of the soul system and the frequent content updates. I did stop playing around last winter when pretty much all my MMO gaming came to a screeching halt when I gave birth to my daughter, but with the announcement of Storm Legion this summer I knew I was going to be heading back into Rift sometime soon. I just had no idea how soon. I knew I wanted to play the expansion, but my plan was originally to hold off on it until next year when my current MMO plate isn’t quite so full, but after my tour on Monday I think I’m going to have to reevaluate that plan. It’s probably safe to say that some of the things I saw shifted around my priorities somewhat, and there are more than a few features I’d definitely want to get a jump start on and not wait around for. 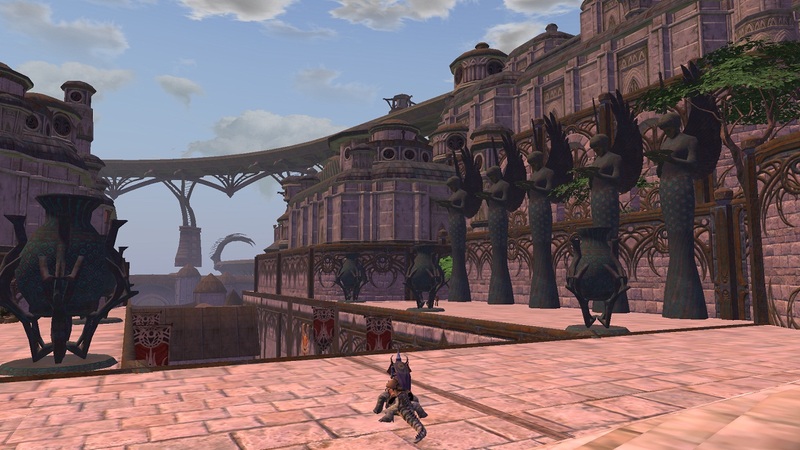 Elrar began our tour in Tempest Bay, the massive new cross-faction city on its own island on the map. The mechanical eldritch theme it has going there reflects a long history of its highly-advanced society. I imagine once the expansion goes live and players begin flocking to this city for their everyday in-game needs, it’ll look sufficiently more populated and lived-in. For now, from what I saw Tempest Bay positively radiates the majesty and grandeur of a central capital. 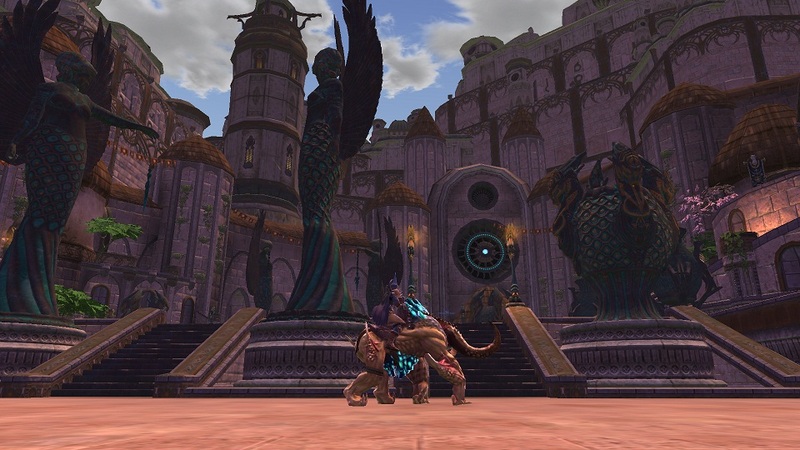 Elrar and his supermod powers ported us to various locations around the world next, exploring some of the new zones. Storm Legion will add two gigantic continents to the game world, Dusken and Brevane. Each of them will be bigger than the original game world, essentially tripling the size of Rift. 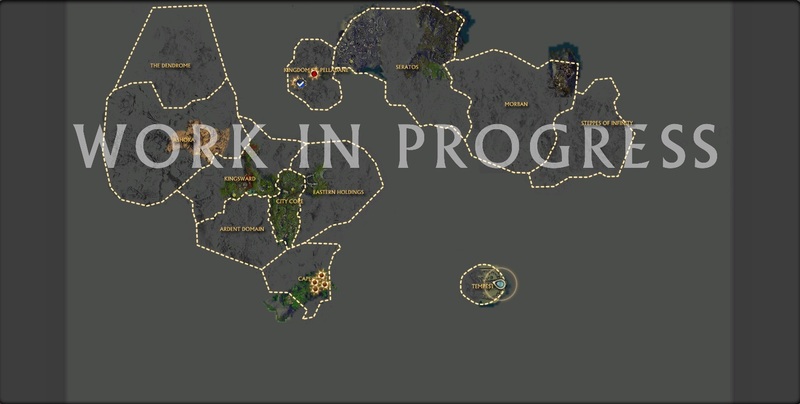 Level 50s will have access to these areas in the new expansion. Our first destination, Morban. And yes, the mood of the zone is as baleful and sinister as the name suggests; in the area called the Forest of Flesh, my guide led me by several foreboding structures nestled in a twisted wood. It’s an eerie sight to behold and yet a feast for the eyes. Rift being an original intellectual property, Elrar explained how their artists get a lot of free rein to design and theme the zones. Indeed you can see the full extent of the creativity at work here in the unique lines and forms of the architecture and biodiversity. Our next stop was Seratos, the next zone over. My guide ported me into an area called the Pus Swamp. Hmm, flesh and pus and hey, I think I’m starting to see a pattern here! I was reminded that we’re in the realm of Regulos now; everything here has pretty much been taken over by the planes. 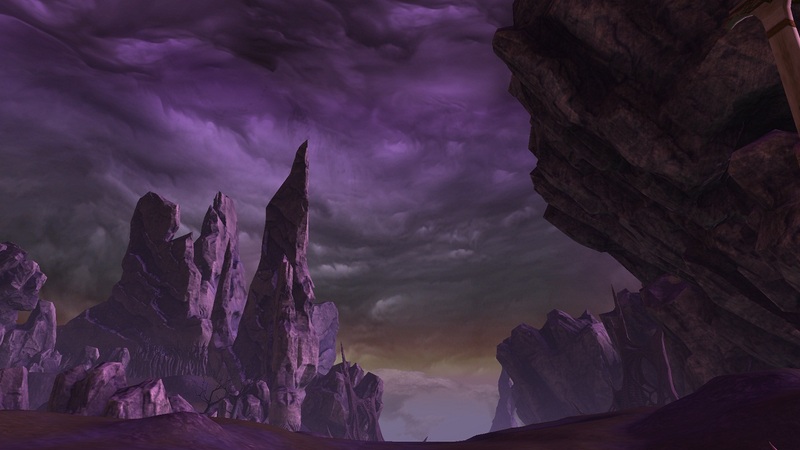 Speaking of which, throughout my tour I was treated to many interesting tidbits of background information and the history of Telara. So, not only has the Rift team been hard at work adding content to their game, they’ve also beefed up the lore big time. I also had the chance to visit the Kingdom of Pelladane and the Eastern Holdings on the other continent of Brevane. Along the way, I got to see how quests will be treated in the new expansion. Firstly, I was fortunate enough to experience a spontaneous rift event during my tour and was assured that rifts will continue to be a main feature and the driving force behind the game. I was happy to hear that. Of course, there will also still be quest hubs where players can show up and talk to a bunch of NPCs, but Elrar also emphasized a concerted move towards improving the flow of questing and making it feel more like a natural and organic experience. I was shown a couple of examples of this. In one instance, I was just running around the area when I suddenly stumbled across an item on the ground with a quest indicator floating above it. In another instance, me killing a random mob also triggered a quest. This obviously is a move to encourage more exploration; Rift has always been very good at doing this, what with their artifacts and collection system and such — but now there’s even more reason to go poking your head into every nook and corner, or killing every monster you see. Storm Legion is going to be chock-full of new features and lots of cool stuff, and there’s definitely no way I can fit all that I saw on Monday into one post. So stick around, I’ll be sure to cover my tour of dungeons and raids, and housing and dimensions in my next couple of updates! I feel both blessed and cursed that so many MMOs have caught my eye this year. On the one hand, I wouldn’t be playing them if I didn’t think I would enjoy myself, but on the other, my gaming schedule is already full enough as it is and my wallet is begging for mercy. Even Guild Wars 2 isn’t off the hook on this, because let’s face it — I want to support the game and there’s no better way to do it than to spend money. I know we all get excited over free-to-play, but I wouldn’t be doing it justice if I took full advantage of F2P and never spent a dime, while all my money went to subscription games. What’s that old adage? It never rains but it pours? GW2 headstart for pre-purchasers on August 25, with the official launch on the 28th. The Secret World with its big Issue 2 update on August 28th. 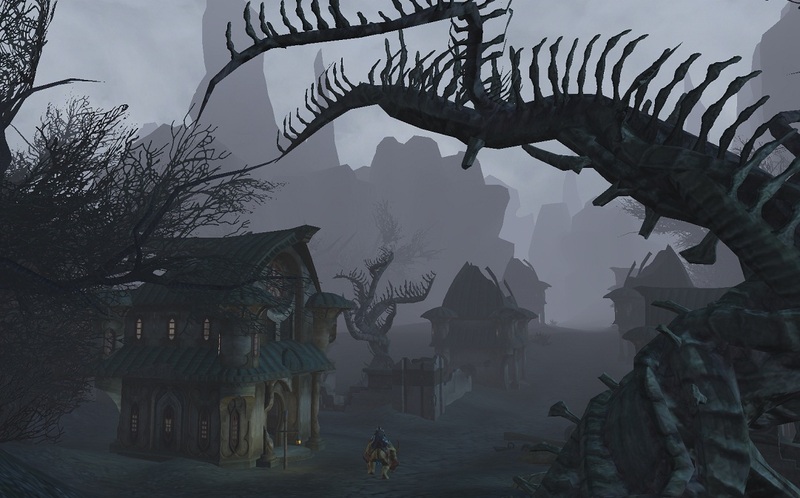 Huge World of Warcraft pre-expansion patch on August 28th, with Mists of Panderia rolling out on September 25th. Rift with a brand new expansion Storm Legion hitting stores later “this fall”. I think I’m set for the rest of the year. That is, if I manage to survive my head exploding at the end of August, of course. 1) No more than two subscriptions, as I have never maintained more than two concurrent MMO subs at any given time and I’m not going to start. 2) Finding a good combination of games that will “scratch all itches”, so to speak. Here’s what I mean by the second part: TSW is a no brainer as it offers a very different environment and gameplay style, WoW has got the traditional PvE experience covered, and GW2 doesn’t require a subscription and reigns supreme when it comes to the dynamic events department. This last point does unfortunately mean Rift will have to take a backseat as its fantasy setting and features make it too similar to the games I’ll already be playing, though at this point I have to wonder if I’ll even get to its expansion before the end of the year. The thing is, I still want to play Rift — quite badly actually, especially now that I know some really cool things like housing dimensions are coming to the game. Earlier this week I was very tempted by an offer from Trion: buy a full year of Rift, and get Storm Legion free, but it may be best to just pass on that and wait to subscribe until after the winter or after I’ve had my fill of WoW. It’s a great thing when new games come out and the existing ones I love add new content, but something’s gotta give. Right now I’m just breathing a sigh of relief that I don’t also have the Lord of the Rings Online expansion (September 5) to juggle too. Screenshot Of The Day: Kill Him, Mr. Bubbles, Kill Him! 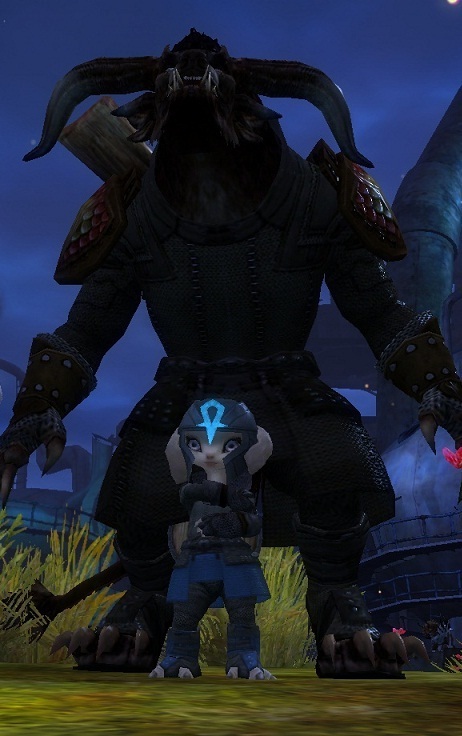 Starring Kysha my Asura Guardian and DoubleUnder, my own, er, “pocket” Charr Big Daddy. So is it just me, or are the Asura just so ridiculously adorable? Like, deadly adorable. For many, the highlight of Guild Wars 2’s third and final beta test weekend which started yesterday is of course the ability to create Asura and Sylvari characters. I always figured that when the game officially launches, it’s going to come down to either one of these races for me. However, last night as I was fiddling with the character creator, it occurred to me that due to my husband’s dislike for any and all cute, diminutive and “puntable” races in MMOs, playing an Asura with him might very well lead to some, ah, irreconcilable differences. So that’s it, folks. Asura for beta, Sylvari for launch. There were many reactions this morning to the Guild Wars 2 release date of August 28, 2012. Wanna know mine? It was, WHY OH WHY MMO GODS MUST YOU DO THIS TO ME?!?! Granted, I’m pleased as pie that I’ll be playing GW2 in about two months, but at the same time I can’t seem to help but feel a rising panic in me, knowing I still have so many goals to meet so many games, but so little time. This news…is going to lead to some rearranging of those goals. I know that when GW2 comes around, I’ll probably be dropping everything else for a while, and who knows when I’ll get back to them? I’m not kidding, I actually felt quite bad about thinking that. Oh, but why deny it? I’ve long given up on the notion that I can stay with an MMO for the long haul. 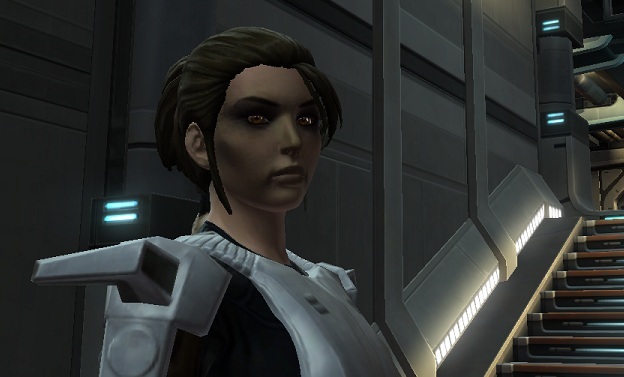 No longer do I look at an upcoming MMO and think about its lasting appeal and what that means to me for the long-term. I even have doubts about GW2. After all, the way I’ve been going through games in the last couple of years, that viewpoint has become irrelevant. In these times, a few months with a game is considered a good run. This is tentative, but here’s what my MMO life will probably look like for the rest of the year and beyond: TSW, GW2, Rift: Storm Legion expansion and possibly World of Warcraft: Mists of Panderia expansion. And I wouldn’t be the least surprised if others are in a similar boat, have similar plans. Can’t just expect people to stick with one MMO anymore, and I don’t even know if we ever did. It may have been the case when the choices were limited, but if you’re like me, you’ll only have the time and energy to invest into one or at most two MMOs at any given time. 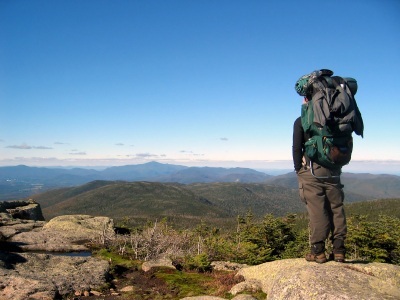 And yet, at the same time, you’ll still want to experience everything great that’s out there. There in lies the dilemma. 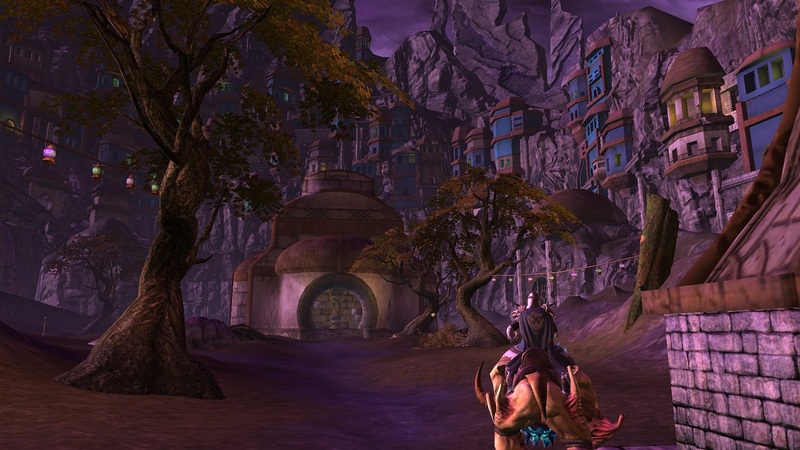 In recent years, we’ve seen so many new MMOs, it feels like there’s one or two popping up every day. The playing field has become saturated, but for them all to co-exist and thrive they will each need a certain threshold of players. 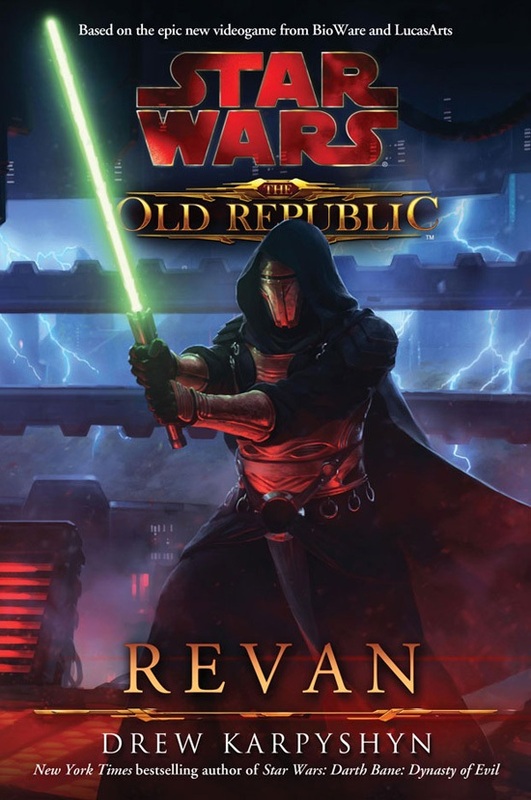 The problem is, I think while the MMO playerbase has grown, it has not grown anywhere near fast enough to keep up with the rate the new games are being pumped into the market. Obviously, we can’t play all these games at the same time. The result is a chunk of the population that goes from game to game, leaving a game once the new car smell has worn off to check out the next big thing. Yep, that’s me right there. I accept that I’ll always be a little bit of a game hopper, as much as I want to find an MMO I can stick with for a good long time. I was never really that good at juggling games, and even before I’ve ever only been able to maintain a presence in at the very most two MMOs before my activity in one soon eclipses that in the other.